– Today (23 April) is a major twofer: Shakespeare’s birthday (celebrations will abound in his birthplace, Stratford-Upon-Avon. The Bard turns 446 today!) and St. George’s Day, in commemoration of England’s patron saint (you can celebrate with a grand music festival at Trafalgar Square on Saturday, 24 April). – An interactive replica of Avatar’s Tree of Souls is being erected in Hyde Park and is available to visit for free Saturday through Monday, 24-26 April. – The London Marathon will be trampling the roads on Sunday, 25 April. (Our friend Sue Hillman will be there in support of both the athletes and WaterAid charity, raising awareness for communities in need of sanitized water!) So cheer the runners on at the sidelines or avoid the crowds and traffic diversions like the plague. 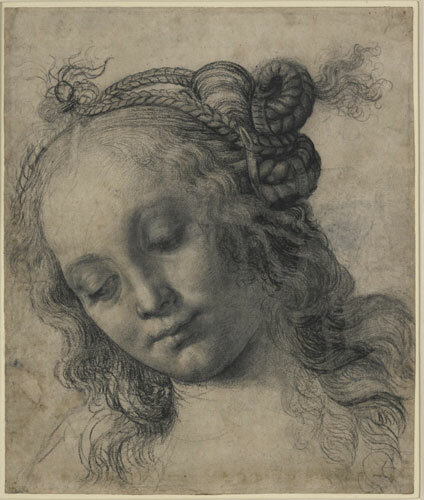 – The Italian Renaissance Drawings exhibit just opened yesterday, 22 April, at the British Museum and will be running through 25 July this summer. – From now through 14 May, Merlin Entertainments is offering travellers stranded due to the ash half-price tickets to major attractions: London Eye, London Dungeon, Madame Tussauds, and London Aquarium. It looks like we’re in store for a glorious weekend, so we hope you can get outside into the sunshine and sap up even a fraction of a percentage of all that this phenomenal city has to offer.